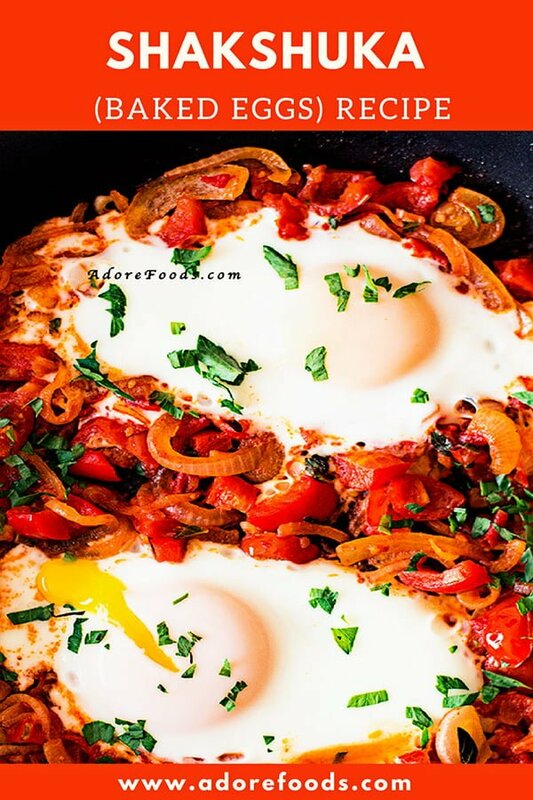 Traditional Middle Eastern breakfast egg recipe Shakshuka is super easy to make! 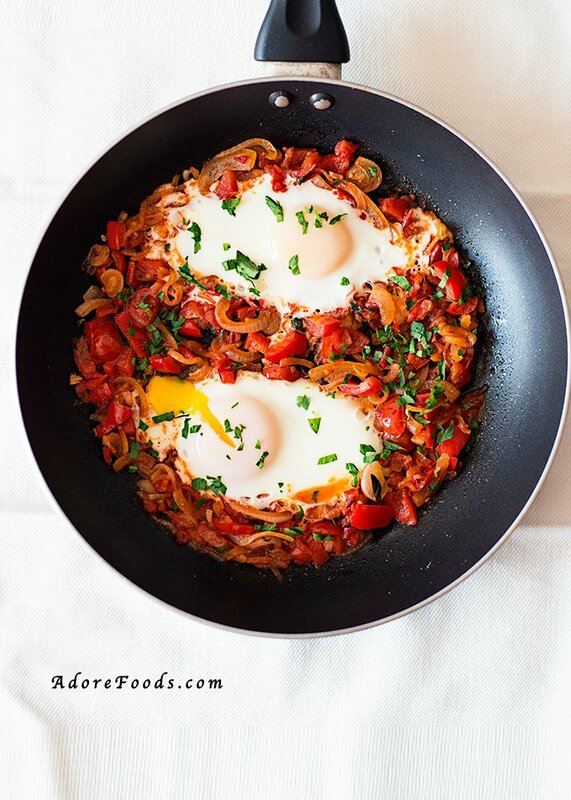 One pan recipe where the eggs are baked in an aromatic spicy tomato sauce! 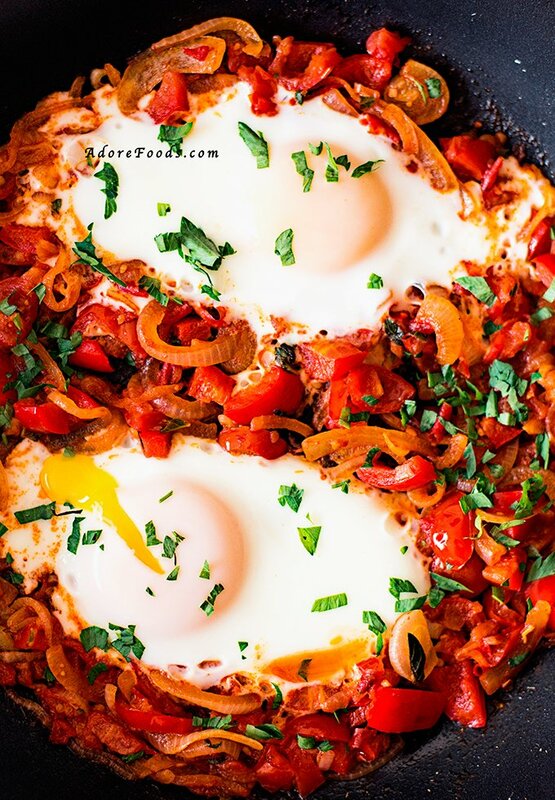 Shakshuka, originally from North Africa is a popular vegetarian breakfast one pan recipe now made throughout the Middle East (extremely popular in Israel too). 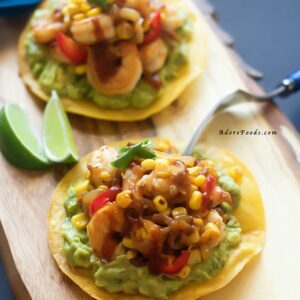 While it is usually served for breakfast or brunch but it also makes an excellent addition to lunch or even dinner. While you can find many variations of Shakshuka on the internet, a traditional shakshuka recipe is basically a vegetarian one-skillet meal with eggs poached in a spiced chunky tomato and pepper stew with onions and garlic. To make this traditional Shakshuka recipe, you usually need a cast iron skillet or a skillet/ pan will do too 🙂 As you can see in my photos, just a regular pan worked just fine. 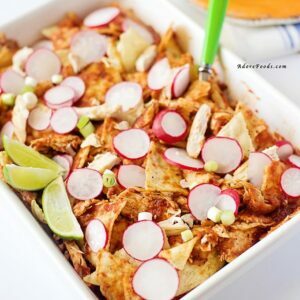 The recipe is really easy to make, very healthy and totally delicious! You sauté sliced onions, minced garlic and pepper slices, add chopped tomatoes (fresh or canned diced tomatoes) and spices and cook the sauce to reduce it to almost thick stew. Make some small wells into the stew for the eggs, crack the eggs and try and fill the wells, one egg at a time to the stew and cook over low heat. I really love the richness of this dish, the full flavored red pepper with the tomato juices and the gooey baked eggs. It is traditionally served for breakfast/ brunch with warm pita bread or challah. You can serve it with fresh yoghurt on the side too…works really well. I have used some grape tomatoes to get that sweet, intense flavor and have less juice at the same time. Shakshuka is supposed to be a dry, thick like a stew, not watery dish so these grape tomatoes are really a perfect match. One of the best things about Shakshuka, apart from its delicious taste, is its versatility. You can pretty much sauté any vegetable and crack eggs on top and it will be just as delicious. You can always go for a lighter version, adding mushrooms or eggplants to the pan. 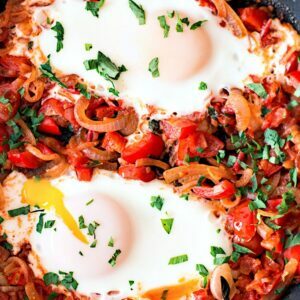 Traditional Middle Eastern breakfast recipe Shakshuka - eggs baked in aromatic spicy tomato sauce! In a medium cast iron/ skillet pan, add olive oil and saute sliced onions, minced garlic for a couple of minutes. Add in tomatoes and pepper, condiments and season with salt and pepper. Cook for almost 15 minutes on low heat until the sauce is reduced, looking like a stew. Make 2 wells in the mixture using a wooden spoon and crack an egg, adding one at a time. Cover the pan and cook on low heat for 2-3 minutes. The egg yolks should not be hard but soft cooked, so be careful not to overcook the eggs. Garnish with parley and oregano and serve immediately with pita, some yogurt on side or just as delicious on this own. Shakshuka is one of my favorite breakfasts. I’m making homemade challah today so I can’t wait to try it with some homemade shakshuka as well! thanks so much for this recipe. Looks like a delicious breakfast for egg lovers! Love the pretty colors on the plate! beautifully presented! I have seen this type of recipe popping up. Sounds totally delicious. Perfect for brunch or dinner. I really need to experiment here and give this a try soon. I love a good one-pan meal, but haven’t had one like this before! Definitely going to try it – looks so good! 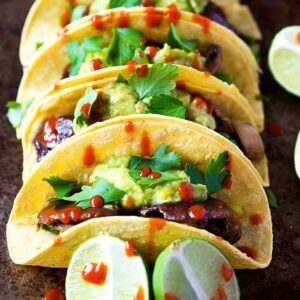 This looks incredibly delicious, and I love the addition of the cumin! This would be wonderful paired with some homemade pita bread. What a great idea for breakfast or a quick dinner! This may typically be a breakfast dish but I could eat it any time. I believe many cultures have their own variation to it. The Italians have one which translates Eggs in Purgatory — which tells you about the heat. I’ll have to whip up your recipe. Sounds really delish! One of my favorite middle eastern breakfast has got to be the shakshuka. I use to have it almost everdyday at some point. My kids love shakshuka. I have never tried this Algerian version – can’t wait to try. I never heard of this meal before but it looks absolutely delicious. I love all the flavours and spices. This will be perfect lunch for my family now that we have plenty of tomatoes and peppers. Saving this to try, definitely.